Deciding which moving company to pick is an important decision. You need to pick one that is most suited to handle your needs. There are many things to consider in this decision. Below you can find information of what to take into consideration. We hope this helps you with your decision. Every company charges some type of travel or destination fee, most are an additional hour. Many companies charge truck roll fees in addition to travel fees. Make sure they explain the charges in detail to you especially when they start you on the clock and when they stop. If they charge you hourly to and from the office, plus mileage and fuel charges, it ends up costing the customer much more. Many movers charge extra for grandfather clocks, big screen TVs, flights of stairs, long walks, and pool tables. We include most everything in our hourly rate, and we have absolutely no hidden fees here at All Area Moving. Recently there have been more and more people offering moving services at an extremely low rate. Why is this a concern? To operate a legitimate, professional moving company, it would be extremely hard to operate and turn over any sort of profit at a $45 per hour rate. Once you’ve paid employees, insurance, fuel, USDOT, and other licensing fees, there would not be much left. Make sure you check on this information. You have the right to see the certificate of insurance, as well as the information concerning licensing numbers. 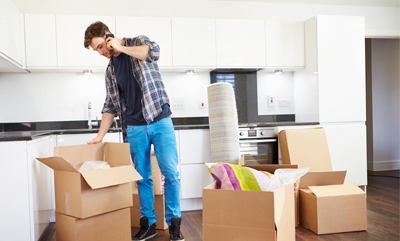 If you can find movers that does hold the necessary credentials and can still operate at an extremely low cost, it is more than likely a company consisting of only one crew. That should not be something to worry about. 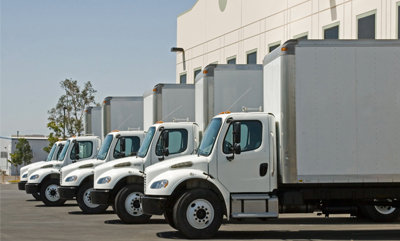 Here at All Area Moving, we keep our fleet size small, but adequate. Our rates are very competitive in the professional moving industry. Many movers offer low hourly rates because they provide inadequate moving equipment and supplies. If they bring a small truck and not all of your belongings fit, you are going to have to pay for the additional time it takes to drive back and forth and get the truck prepared. Many of the larger moving companies have one guy that knows what he is doing, and has extensive experience, teamed with a rookie. They have a high employee turnover ratio due to the large fleets they have. Other “discount” movers may not be as experienced and your job will take longer than if you used a professional, experienced mover. 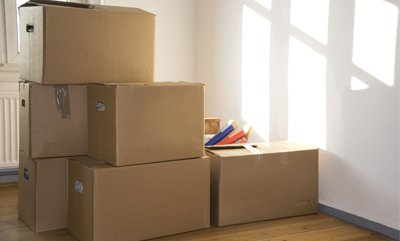 At All Area Moving we have only three crews, but they are both professional and experienced. Make sure you are getting as much value as you can for your dollar when choosing a moving company. To ensure they will get your business, many moving companies will tell you over the phone that your job should take two to three hours even if they know it will take more. Since you are hiring them by the hour, you are really at their mercy. Be informative and prepare a complete list of items to be moved when looking for an estimate. State law requires all intrastate household goods movers to have a license or “operating authority” from the MPSC. An intrastate mover is defined as one that operates within the state. You can tell if an operator is licensed by looking for the required MPSC numbers and current year decal on the side of the truck’s cab. Do you charge extra for larger items, stairs, etc..? What size are the moving trucks? What is the travel or destination fee? Are there any other miscellaneous fees such as mileage or fuel? Once again, we hope this helps on your quest to select the right moving company. If you have any further questions about the moving services provided by All Area Moving, please feel free to contact us!